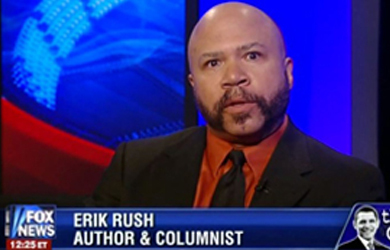 WorldNetDaily’s Erik Rush believes that the Obamacare rollout is all the proof he needs that President Obama is a communist agent who was put into office as part of a conspiracy to destroy America, citing a fake Nikita Khrushchev quote to back up his claim. “Obamacare and the nefarious undertakings of this administration now coming to light are the smoking guns we needed to prove to millions of Americans that we have indeed been experiencing an insidious and incremental encroachment of Marxism over many years, just as Nikita Khrushchev predicted in 1959 and just as conservatives have increasingly warned over almost as many years since,” Rush writes. Obamacare and the nefarious undertakings of this administration now coming to light are the smoking guns we needed to prove to millions of Americans that we have indeed been experiencing an insidious and incremental encroachment of Marxism over many years, just as Nikita Khrushchev predicted in 1959 and just as conservatives have increasingly warned over almost as many years since. These are the only things that (at present) have the potency to overcome the cult of Obama and the perceived imperative of preserving Our First Black President’s legacy, and they must be employed via grass-roots effort. 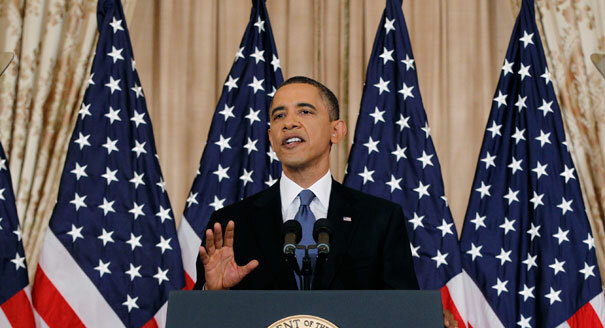 With these wedges, we have the opportunity to reveal to America that not only is Barack Obama a treasonous criminal, but he and his cabal are long-seasoned operatives, carefully maneuvered into their positions for the express purpose of ushering in that which was unthinkable in 1959: Communism. If these wedges are properly utilized, we will be able to make sense to these perplexed Americans of the societal dissolution they have witnessed over the preceding 50 years. They will understand why it was imperative for the political left to encourage us to stray from a moral center and embrace the secular humanist worldview, and how the dismal, destructive results thereof have been of great use to them. They will understand why it has been necessary for the left to foster an irrational fear and hatred of Christianity and Judeo-Christian values. The weakening of our economy and international standing will be seen as the strategy of puerile, petty walking mediocrities who simply hate America and want to see it burn, rather than the incompetent bungling of imprudent weaklings. When our neighbors perceive the breadth and depth of this administration’s criminality and the culture of corruption that has inculcated itself into our government, they will call for a real fundamental transformation of America – back into a constitutional republic. They will realize the need to return to our philosophical roots of government, education, integrity and to constitutional principles. They will realize that they have been exploited by a parasitic, avaricious ruling class with the worldview of King Louis XVI and Marie Antoinette, and that they are in no way obliged to countenance their actions for one more day.